Tidying up isn’t just about cleaning the house; it’s also about detoxifying the space you live in so you can have a clear, healthy mind. When you tidy up, you hone your decision-making skills by deciding what to keep and what to discard, learn a little bit more about your gut instincts and yourself, and give yourself a nice environment to spend time in. Plus, once your home is clean, you will be able to focus on the things that really matter to you without the distraction of unnecessary clutter. 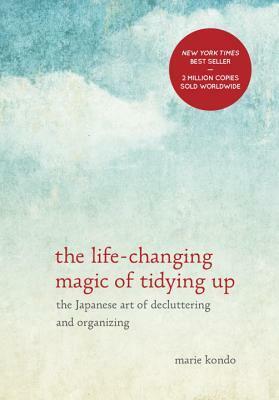 In The Life-Changing Magic of Tidying Up: The Japanese Art of Decluttering and Organizing, Marie Kondo goes through her method of tidying up—a method that is guaranteed to succeed! We’ve summarized her advice into actions you can carry out today to turn your home into a tidy space of serenity and inspiration. You will need to carry out all the actions in the order that they are written to achieve full results. Marie Kondo is a Japanese organizing consultant and author. Kondo's method of organizing is known as the KonMari Method, and one of the main principles is keeping only possessions which "spark joy." Get into the right mindset to tidy up. Tidy up your house now! Discard the items you no longer need in order to reduce clutter. Store the items you do need. After shopping, unpack and put away your items immediately.